Home » Posts » Attentionology for K-5 Teachers » Constant Change – What a Challenge! I heard a fascinating presentation recently about world trends. One prediction – maybe a “no-brainer” for some – more and more organizations (this could include schools) have begun to limit their long-range planning to as few as three to four months out! Wow, what happened to goals for a future that stretch out at least a year? Children are naturally more adaptable to change, but they need good guidance from caring adults to achieve academic and personal success. So, teachers and others who work with kids need to keep looking for ways to meet the challenges of a constantly changing world, don’t you agree? Implementing new and creative tools and tricks to catch and keep kids’ attention is one way to do that, to embrace change and at the same time maintain effective management of our instructional spaces, in school, at home or elsewhere in the community. If we need to plan for change then, I’m thinking that we need to change our plans more often than we may have done in the past. 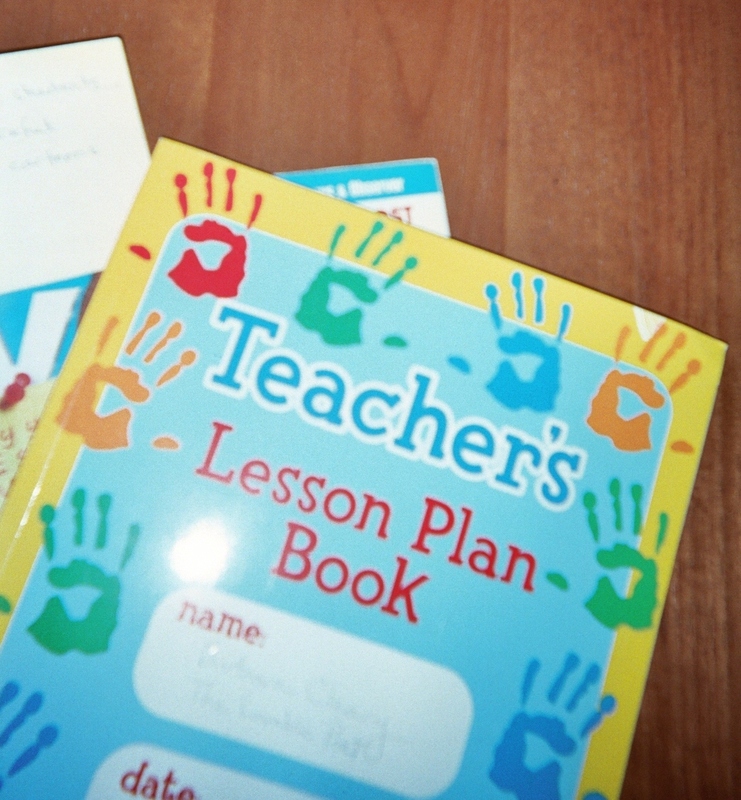 Turn a Lesson Plan Book into a Change Planner. As time permits, think through all of your instructional strategies (our curricula may be non-negotiable at present, but we can put how we teach under personal review if we want to). Thinking about one strategy at a time, ask yourself if it’s “a keeper.” Ask if instead it’s a strategy to store, perhaps for later use, maybe with different students or age groups, etc. Continue your evaluation to see if you could help other teachers by sharing – giving away – the strategy or is it one to throw out for lack of effectiveness in our world today? I realize that managing time – make that finding time! – is a constant challenge in a world of constant change. Your evaluation of what to keep, store, give away, or throw out may take weeks to complete. That’s okay. Engaging in the process shows that you’re embracing change – a point of pride! Speaking of process, you can use four categories to record another plan for change – one that focuses on your instructional resources. Some of these are “keepers” because of financial limitations, but put them to the keep, store, give away or throw out “test” anyway, again over time. You may want to add a fifth category – recycle – when you’re looking over your teaching materials. I hope my blog’s a “keeper” for you; please let me know how I might change it to make it even better. I’m up to the challenge. 3 Pings/Trackbacks for "Constant Change – What a Challenge!"